Having diabetes or prediabetes puts a person at an increased risk for heart disease and stroke, according to the National Institutes of Health (NIH). A person with diabetes is at least twice as likely to have heart disease or stroke compared with someone who does not have diabetes, the NIH reports. There are several reasons for the increased risks. People with diabetes, particularly type 2 diabetes, often have other conditions that contribute to their risk for developing cardiovascular disease. For example, they often have high blood pressure or unhealthy cholesterol levels, including high LDL (known as “bad” cholesterol), low HDL (known as “good” cholesterol), and high triglycerides. When a person thinks about heart disease, diabetes does not often come to mind, too. But maybe it should. While the news may sound grim, there is hope, especially for people with prediabetes, she says. Prediabetes is a warning sign that diabetes may be imminent, says Dr. Fruhbauer, adding that about 50 percent of people with prediabetes will go on to develop diabetes within a five-year period. 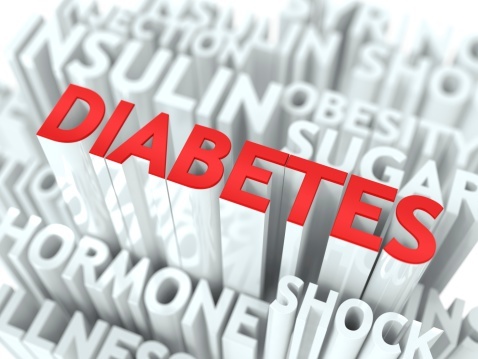 People with prediabetes should see it as a wake-up call. Among the changes Dr. Fruhbauer recommends: eating healthy, exercising and reducing stress. When it comes to healthy eating, it is important to make the right choices. This includes reducing portion sizes, eliminating foods with significant amounts of sugar or sweeteners and increasing servings of fresh fruits and vegetable. When making dietary recommendations to her patients, Dr. Fruhbauer often suggests the Mediterranean diet and “Dietary Approaches to Stop Hypertension,” also known as the DASH eating plan. The Mediterranean diet emphasizes eating a plant based diet, healthy fats, olive oil and using herbs to flavor food. DASH emphasizes portion size, eating a variety of foods and getting the right amount of nutrients and encourages people to reduce sodium and eat foods rich in nutrients that may help lower blood pressure, such as potassium, calcium and magnesium. These include vegetables, fruits, whole grains, fish, beans and seeds. As for physical activity, the American Heart Association recommends at least 150 minutes per week of moderate exercise or 75 minutes per week of vigorous exercise, or a combination of moderate and vigorous exercise. Thirty minutes a day, five times a week is the goal suggested by the association. While people may want to eat right and exercise more, sometimes life’s frustrations sabotage those good intentions. Work, family commitments and personal obligations mount, and healthy routines get squeezed out. Instead of getting sucked into the vortex, health experts say it’s OK to step back and slow down. The payoff comes not only in emotional benefits but physical ones as well. Even 10 minutes a day can help with stress reduction. And most people can find 10 minutes in their day, she says.